In October 2018, on World Polio Day, a special event raised $3,141 for Rotary International's ongoing PolioPlus campaign to eradicate polio from the world. 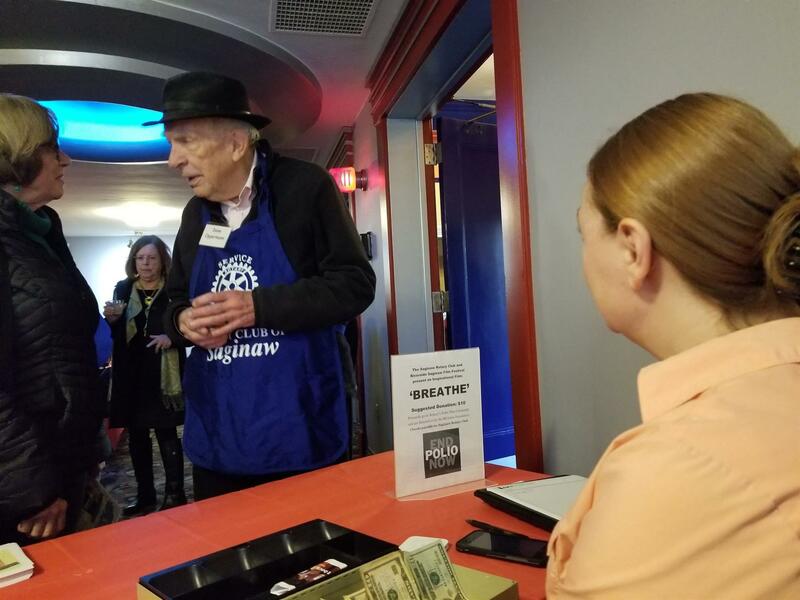 The Rotary Club of Saginaw-Downtown and Riverside Saginaw Film Festival teamed up to show the 2017 movie "Breathe" -- based on a true story about a man's battle with the disease in the late 1950s. Nearly 100 people attended the fund-raiser at the Court Street Theatre and donated $1,047 in freewill donations. That amount was matched 2 to 1 by the Bill and Melinda Gates Foundation, amounting to $3,141 headed to Rotary International. Since 1985, Rotary International and its clubs worldwide have contributed more than $1.8 billion, including matching funds from the Gates Foundation, to fight the disease.